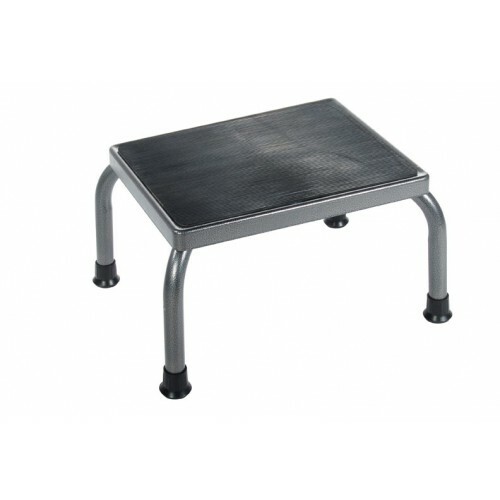 Safety and durability is what you will find with this steel-welded Foot Stool by Drive Medical. 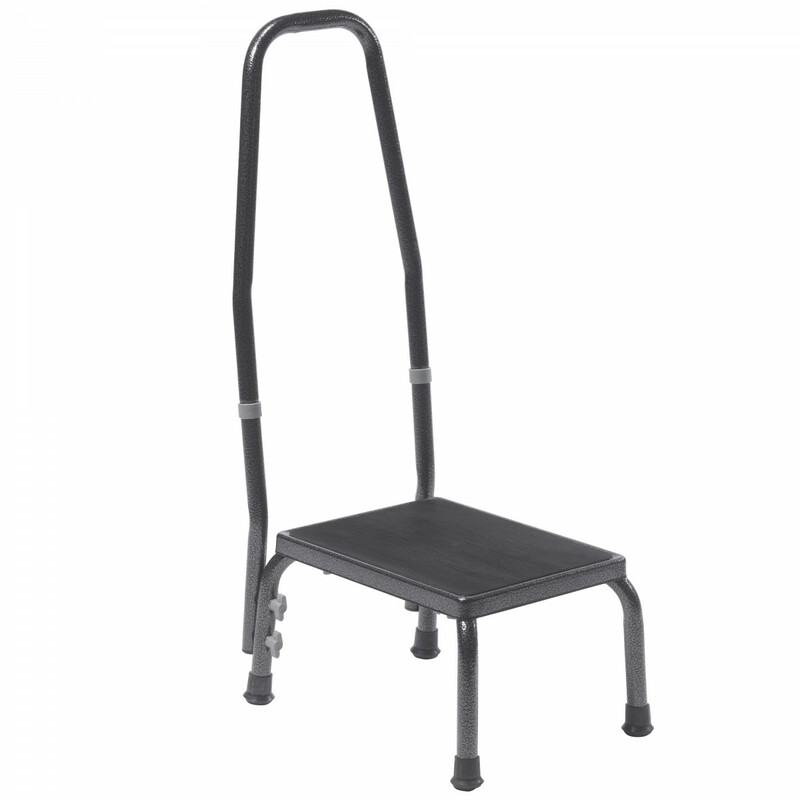 The steel-welded construction adds confidence that each piece is strong and long lasting. 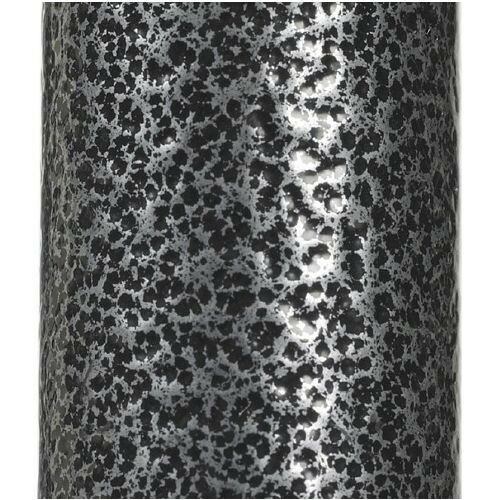 The steel is finished with a neutral silver vein finish that adds texture and also hides scratches. 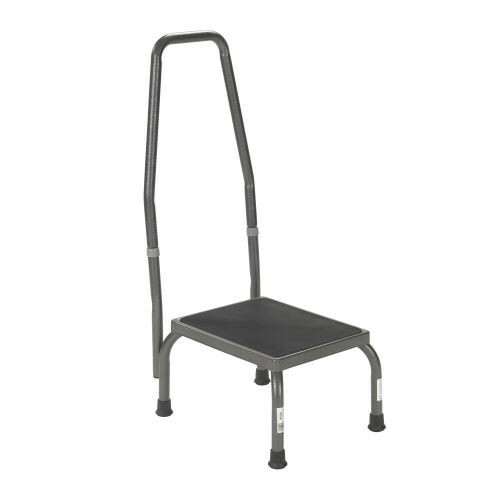 The steel foot stool supports a weight capacity of 300 pounds. 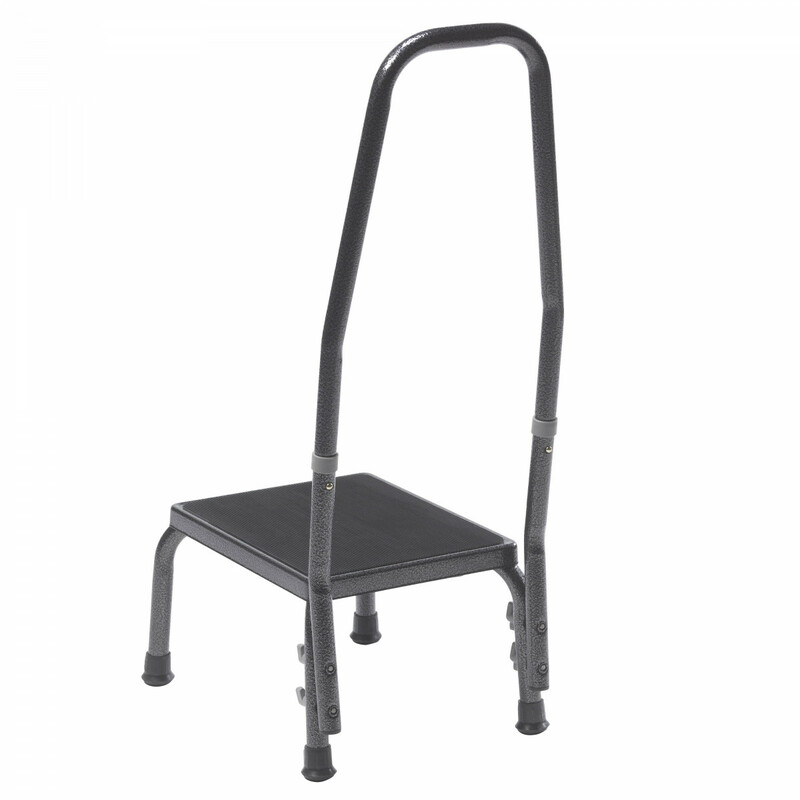 Drive Medical designed the foot stool with important safety features including a ribbed rubber non-skid surface that adds traction and the rubber tips reinforce the stool's feet so it doesn't move during use. 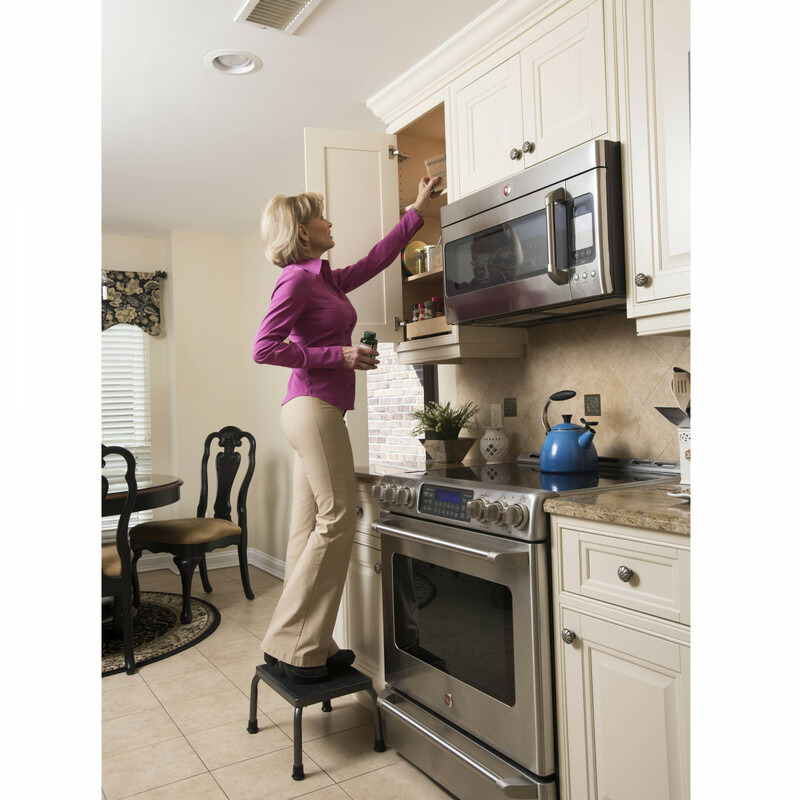 For additional support, you may want to check out the features of the footstool with built-in handrail. What are the dimensions, specifically the height? Need height in inches in this? Looking for 12" - 15"
Height for this item is 9 inches. i am pleased with the footstool. it does an outstanding job in allowing my passengers to step out of the van with ease.